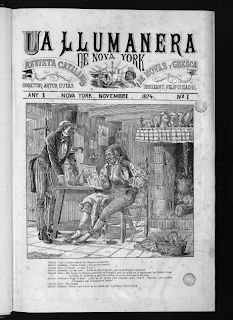 “The are certain sections of New York, Major, that I wouldn't advise you to invade” [“Hi ha determinades zones de Nova York, Major, que no li aconsellaria pas d'envair”]. Des de Nova York a les 11:43 p. m.
Et refereixes al Bronx o a Wall Street? Ja ho sé: Times Square. La Disney derrotaria fins i tot els Nazis.